The ARB resources cover three curriculum areas, a range of topics and levels, and can be used in many ways to support teaching and learning. When planning for learning, there are three broad areas that you might start from − a topic or context, the curriculum, or your students’ strengths and needs. Whatever your starting point, planning should include activities that provide evidence for making decisions about students' learning. The ARBs is one resource that provides activities designed to support teachers and students to do this. In this example the starting point is a context, or “topic”. The learning area is science. There are many reasons for choosing a particular topic as a starting point for classroom work. For example, you might choose to focus on birds because there is a special event at a nearby bird sanctuary, because your class has just got a budgie, or because it is part of your planned school curriculum. Whatever your reasons, your planning will involve working out what you, as the teacher, need to know about the topic, the relevant achievement objectives (NZ curriculum), and the students’ strengths and needs. What big science idea will be the focus of the learning? What do I know about this big idea? 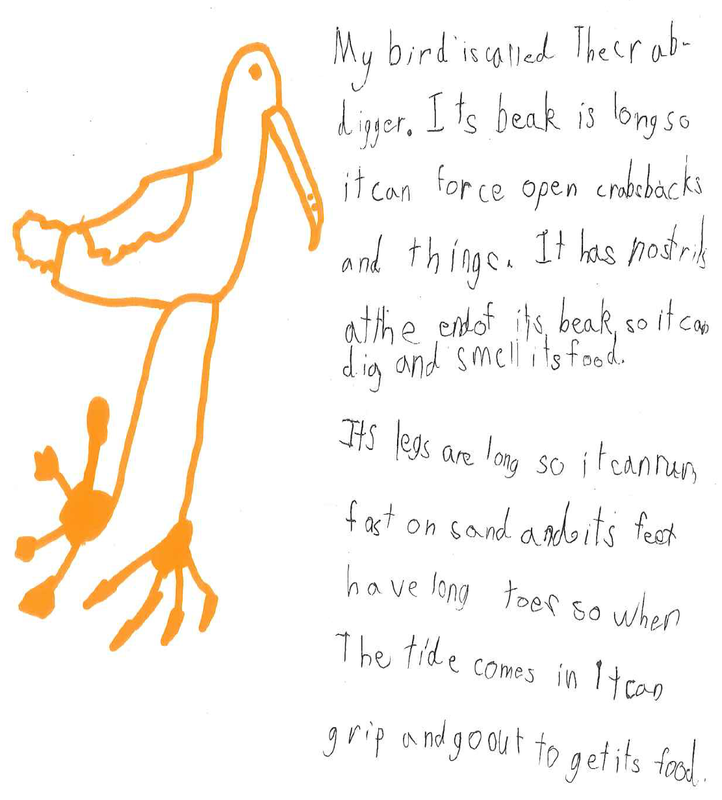 How does the context of birds help students learn about this big idea? Where can I add to or check my own understandings? use the keywords ‘adaptations’ and ‘birds’. To find the teacher notes for particular activities, click on the large buttons to right of the resource. The science notes for teachers at the front of Birds: Structure, Function, and Adaptation (Building Science Concepts Book 3) also provide background information. What do I understand about the nature of science focus? What nature of science idea could be explored in this context? What does the curriculum say students should understand about the big science idea? What are the reading, writing and/or mathematics requirements? Living World: Explain how living things are suited to their particular habitat. Generate content that is usually relevant to the task, supporting or elaborating main ideas with detail that has been selected with some care. Use an overall text structure that is appropriate for the purpose. The ARB website has a range of general and curriculum-related teacher resources. You can search these from the homepage information blocks under the search box. Click on Research and article and then Science will take you to research-based articles/resources specifically designed to help build pedagogical content knowledge. What do students already know about adaptations? What do students already know about investigating? What literacy and mathematics skills do students need to support their learning? 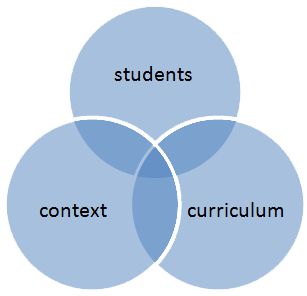 Where will I find learning and assessment tasks to support students’ learning? Searching the science bank using the keywords ‘adaptations’ AND ‘birds’ will provide you with a list of classroom tasks to choose from, depending on your students and their needs. Feet and Beaks (LW0501) and Feet and beaks II (LW0643) are two resources that provide a choice of strategies for exploring the same idea (pencil and paper or a card matching activity). Other resources include Bird Feet and Beaks (LW0559) and Beaks (LW0631). All these resources can be used in a variety of ways to support teaching and learning, including formative assessment. Some ARB tasks are suitable for summative assessment. Another source of ideas is the Building Science Concepts books. 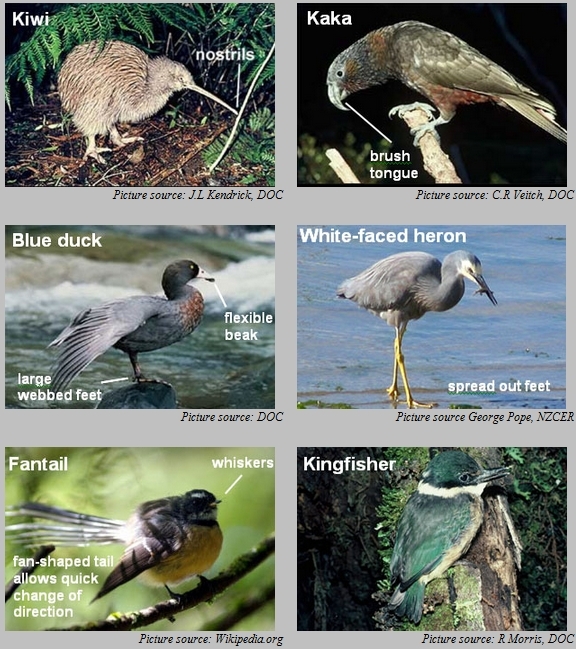 For example, ‘Design a bird’ involves designing a new type of bird, describing its features and explaining how it is adapted to its environment. This task presents teaching and learning opportunities related to both science and literacy, as students develop written explanations that demonstrate understanding of underlying concepts. From: Building Science Concepts 3: Birds: Structure, Function, and Adaptation, Ministry of Education (2000) p.22.